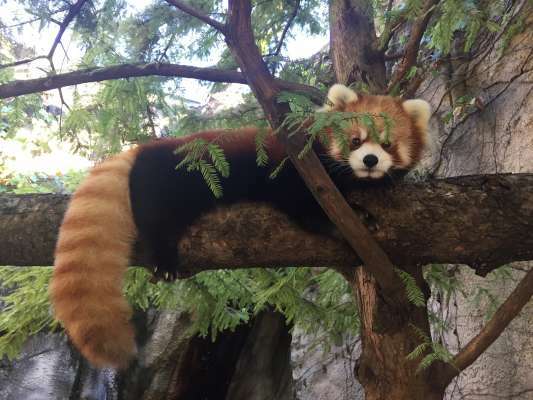 ► The WNC Nature Center&apos;s Prehistoric Appalachia Project comes to life with a NEW red panda exhibit. An ancient ancestor of the endangered animal, the Bristol&apos;s Panda, was once prevalent in the region. The exhibit opens February 14. ► Sit, stay and explore with the NEW Dog City Tour, starting at Asheville&apos;s Dog Welcome Center (the first of its kind in the country) with stops at local shops and breweries catering to pups, plus a special dining experience for people and their canine companions. ► The new Asheville LIT Tour is a walking tour focusing on locations with literary themes and authors with ties to downtown Asheville like F. Scott and Zelda Fitzgerald, O. Henry, Carl Sandburg and Thomas Wolfe. Tours are filled with little-known anecdotes and readings from many of the authors’ works. Red panda photo courtesy of Lincoln Park Zoo.